In January 2017, following a robust procurement process, the statutory mental health and social care services across the city of Manchester became part of Greater Manchester Mental Health (GMMH) NHS Foundation Trust (formerly known as GMW). Manchester services now form part of a large specialist mental health trust which also provides inpatient and community services across Bolton Salford and Trafford, as well as a range of specialist services serving wider populations. GMMH embarked on an ambitious two-year programme of clinical service transformation to improve the mental health outcomes for people receiving our services and to support the wider mental wellbeing of Manchester citizens. To make this transformation a success we have put in place a clear programme structure, which sets out the priority work-streams and ensures that all interested parties are able to influence the design and implementation of service models. (Further details are available in a Trust booklet). For each transformation priority, Transformation Working Groups have been set up. These include service users and carers, who were selected following an open recruitment process. For details of each Transformation Working Group, please click on the links below. To give feedback, your opinion or to request further details, please fill in the form at the bottom of the page. These services work with people who have common mental health conditions and are an essential part of every local mental health system. The Department of Health has set national targets for ‘referral to treatment’ waiting times as well as targets for the overall numbers of people seen by these services, and targets for the rates of recovery through treatment. Manchester has a large and growing population and the targets have been difficult to achieve but, with support from commissioners, expertise from clinical staff, and collaboration with service users and carers, we are making steady progress towards reaching them. To ensure that efficient and prompt access to services is the norm and that service users access the correct clinical service. This sub-group aims to develop a seven-days-a-week service and improve relationships with other parts of the system. It will also review the delivery of the clinical model to ensure that service users receive correct intervention for their care needs. The group will provide clarity for referrers and improve relationships with Primary Care and other stakeholders. Care plans will be co-produced with service users and carers, promoting independence choice and encouraging resilience. Teams will be aligned to the diverse needs of the neighbourhoods. There will be regular planning meetings to review at risk service users, agree increased visits, identify service users for weekend visits and support and guidance for care co-ordinators. This priority has three sub-groups to look at how mental health teams and other services support people in a crisis. Another crucial element of urgent care is the access to, and availability of, home-based care teams which can provide intensive support for people whilst they are unwell. The transformation work around Urgent Care will ensure that people receive the most appropriate treatment response when they most need it. HBTs will operate 24 hours a day, seven days a week and will be fully functioning and multi-disciplinary. Task and finish groups with operational managers and clinical staff to agree areas such as: Multi-Disciplinary working, therapeutic interventions, working towards Royal College of Psychiatry Accreditation for HBT. This group is considering how mental health services operate in A&E departments and in acute hospital settings. 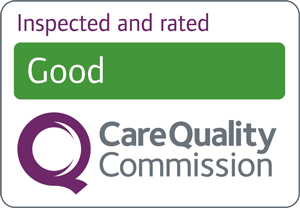 There are detailed guidelines and standards from the Department of Health which describe the level of support that should be in place to ensure people receive responsive care. A Section 136 Suite is a dedicated mental health suite for the reception and assessment of service users arrested by the police under Section 136 of the Mental Health Act (1983). Developing a dedicated mental health Section 136 Suite will provide an appropriate place of safety for people suspected as suffering from mental health problems. Too many people have been placed outside of their home district for in-patient treatment and this can be unsettling and cause problems about maintaining contact with family and friends. The Trust is working across the Manchester Mental Health Services, with other Rehabilitation service providers and commissioners, to ensure high quality rehab services are available. The focus is to develop the rehabilitaiton services to ensure individuals who require ongoing care receive the most appropriate servce; delivering efficient and effective use of the resources available whilst achieving the best outcomes possible for those individuals and their carers/families. Engage with service users on a co-produced model of care for rehabilitation services. This work-stream is focussed on how we can help people to manage in the community by supporting community groups and activities that contribute to mental wellbeing. This emphasis on self-care and prevention should ultimately reduce demand for more specialist interventions and will also contribute to General Practice and primary care services by increasing the number of support options. We have invested in the Manchester Wellbeing Fund and recognise that there are many exciting opportunities for collaboration with voluntary sector partners and community groups. This workstream will also support the Trust’s engagement with the ‘One Team’ neighbourhood model and the emerging Local Care Organisation.